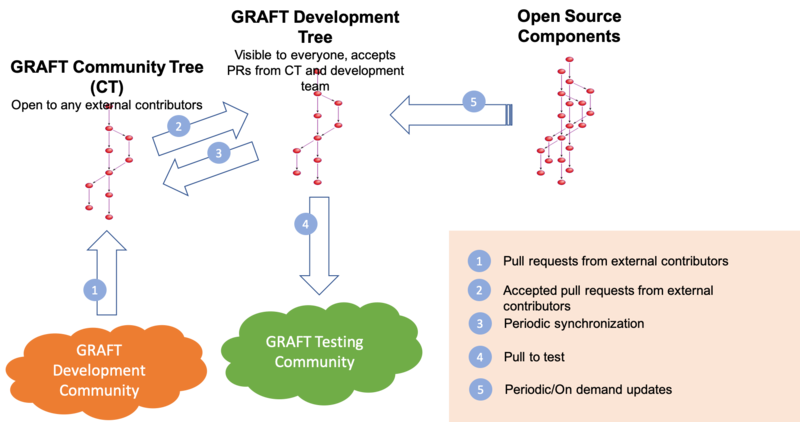 GRAFT is short for Global Real-time Authorizations and Fund Transfers, but also represents grafting of the new into the old. GRAFT Blockchain is built on the idea that the payment industry can benefit tremendously from the democratization brought forward by the blockchain technology, but only when the right technologies are chosen and combined with the accepted industry workflows and systems. When done correctly, this transition to blockchain-based payments will lead to radically improved credit/debit payment system through the combination of lower transaction fees, tight privacy controls, low rates on credit balances, built-in loyalty programs, and connected extra services. GRAFT payment processing network functions similarly to a credit card processing network with off-chain authorizations and in-network atomic swap based interchanges. The network is completely decentralized, able to work cross borders and adapting to local regulatory environment. 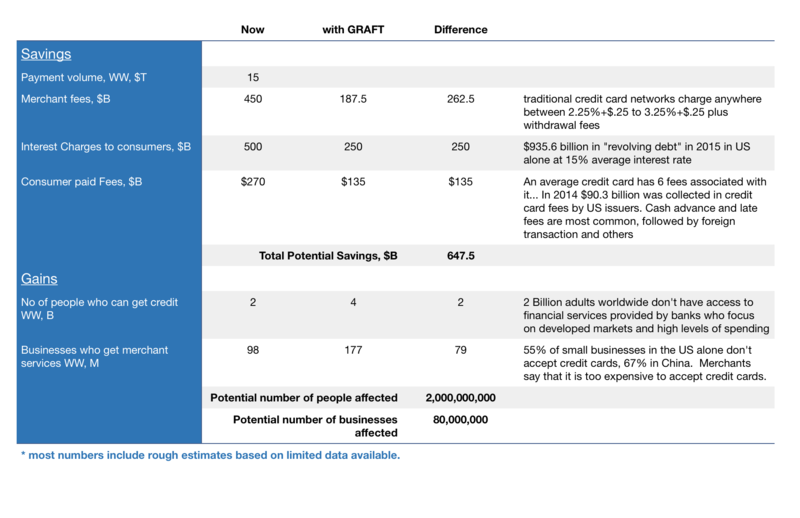 In addition to decentralization, GRAFT solves four biggest problems that exist in cryptocurrency at a point-of-sale today – privacy, speed, fees, and integration. Technically, GRAFT is an advanced blockchain with combination of proof-of-work recording layer and proof-of-stake based authorizations, with participants able to benefit both for mining and staking. 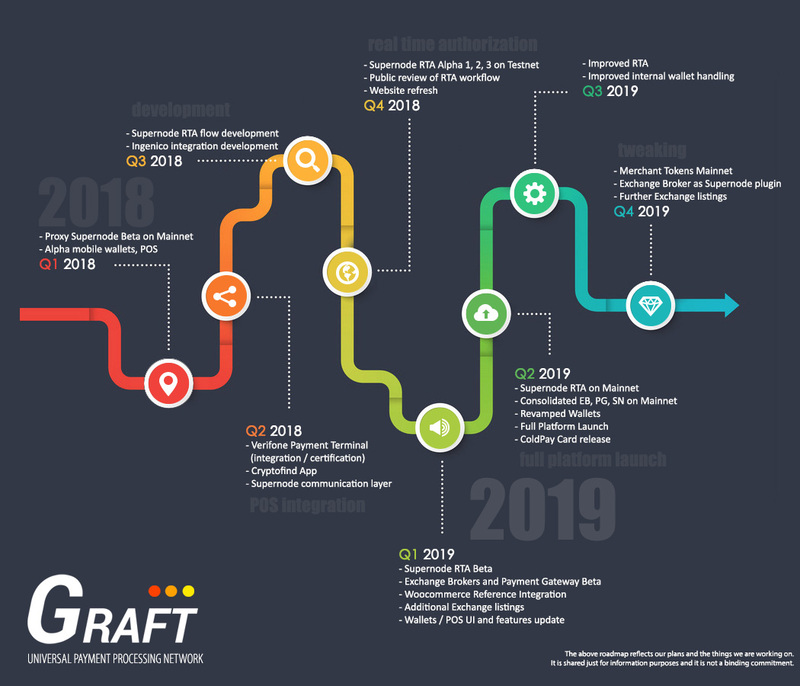 GRAFT does not maintain administrative controls of the network – the network is decentralized and open to participants fullfilling various functions, building businesses and revenue opportunities, and adopting GRAFT to local market specifics. GRAFT Network will leverage existing channels and markets (such as MSPs, ISO’s), while opening the field up to small newcomers and brings value to users, merchants, and manufacturers along with intermediaries, opening the field up to a participation economy. Finally GRAFT is open-platform, open-source, non-for profit project with strong community behind it, with intent to develop towards a fully distributed autonomous organization (DAO). GRAFT Payment Network is based on the main idea behind the blockchain – decentralization. Decentralization evens out the playing field and allows small actors to carry out functions that are typically entrusted to a single entity. Decentralized arhitecture is very nimble, conforming to local cultures, rules, and regulations. “Trust-less” approach protects against manipulations without requiring a central authority. Finally, decentralization gets away with the single point of failure, a single target that a centralized service is, making it vulnerable to hacking, political pressures, and corruption. 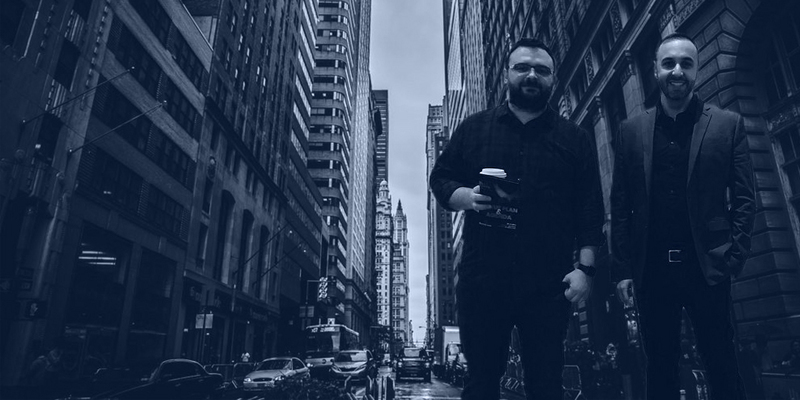 GRAFT core team is lead by Slava Gomzin, a 15+ year veteran of Payments and Information Security Industries, former NCR architect and HP technologist, and author of the books “Hacking Point of Sale” and “Bitcoin for Nonmathematicians”, and Dan Itkis, a veteran R&D executive and enterpreneur, who built and brought to market first Voice-over-IP protocol and gateway stack for Intel, which later became the basis of modern internet voice conferencing, first commercial DSL-ready Video-over-IP (MPEG1/2/4) encoders for Tektronix, and large scale interactive digital media networks for Cisco Systems. GRAFT core organization is engineering-focused, consists of top proven talent, is distributed, and nimble. We’re focused on delivering cutting edge technology, following best industry practices and incorporating all the latest progress in the field. Growth-hacker with 16+ YOE in advertising and digital marketing in the US, Europe and Southeastern Asia. Principal Engineer, Sonicwall and Dell. Ms in Mathematics and Computer Science. Engineering manager with over 20 years of experience. Expert in C++/Qt cross-platform development with experience in cryptocurrencies and blockchain. Previously Monero developer. Audio Engineer and Master in Clinical Neuropsychology , Tiago was instrumental in building up Dash and several other crypto communities from the ground up. GRAFT development methodology currently is core team lead with active community participation. Over time, GRAFT will transition to more community driven development as robust and sustainable developer community body emerges. * The roadmap is subject to frequent updates and adjustments reflecting technology, market, and environment challenges and opportunities, and should serve as rough guide only. The real unique thing about Graft are it’s “SuperNodes” which earn rewards for authorizing transactions on the network. So essentially all the “Fees” go back to Graft holders/ Network participants instead going to a centralized entity (eg Visa/MC/ Bitpay/ Paypal/ ETNpay etc). With Graft you are the network and get a proportional reward for all transactions on the network. Graft is a novel use case for Blockchain tech. You can do VHS vs Betamax comparison here, first to market etc. It’s all about the concept, if it will work or not under load. For POS Graft is the only one with the right concept so others that may look successful in the early stages will fail when it comes to big time. GRAFT won’t fail. GRAFT’s solution to leverage the Supernode authorization sample to support both sale and exchange transactions is very elegant and ingenious. This is the first realistic solution outside of Lightning (which requires support from other blockchains) to accomplish a fast atomic swap! This is a BIG deal!